Shortly after the Fighting Irish defeated Miami at Soldier Field, ESPN announced that College GameDay was headed to South Bend for the eighth time, and first since 2005. 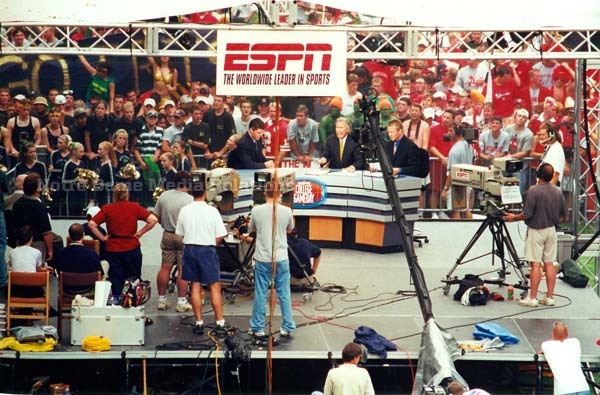 In 1993, the show made its first appearance away from the network’s studios in Bristol, Conn., when Chris Fowler, Lee Corso and Craig James broadcast from Heritage Hall in the Joyce Center. 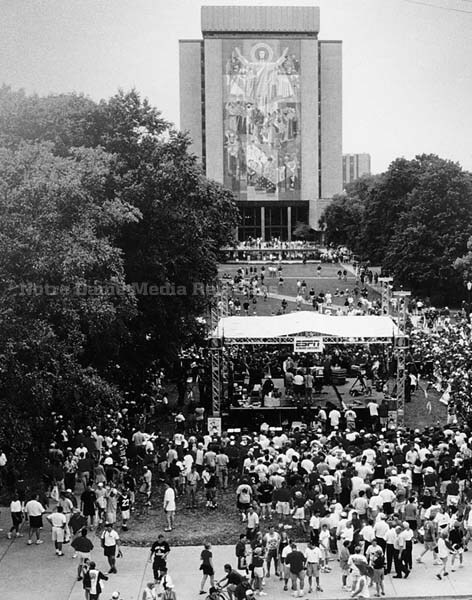 On Saturday, Fowler and Corso, along with Kirk Herbstreit, Desmond Howard, Samantha Steele and Tom Rinaldi will be live on Library Quad in front of the Word of Life (Touchdown Jesus) mural. In this Strong and True moment, Fighting Irish Digital Media looks back at the history of College GameDay on Notre Dame’s campus. 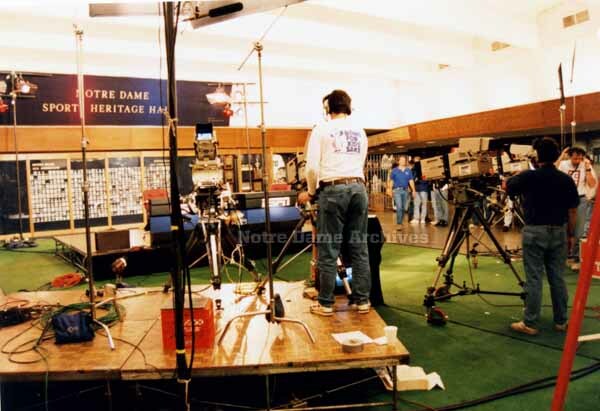 The first ever College Gameday live broadcast set up in Sports Heritage Hall at the Notre Dame Joyce Center in 1993 for the #1 vs. #2 game between Notre Dame and Florida State. 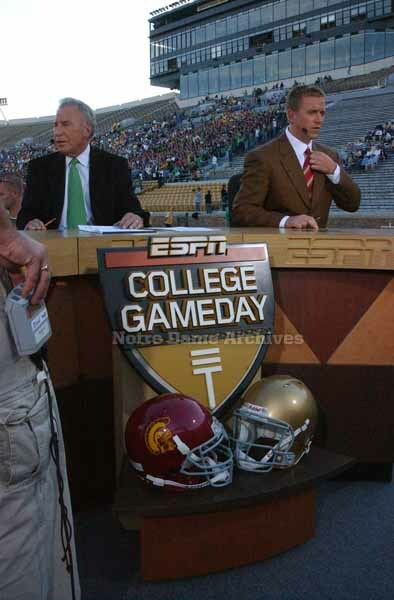 Most recently, Gameday was on campus in 2005 for the game between Notre Dame and USC. Here we see Lee Corso and Kirk Herbstreit from inside Notre Dame Stadium before the Friday night Pep Rally attended by over 40,000 fans.